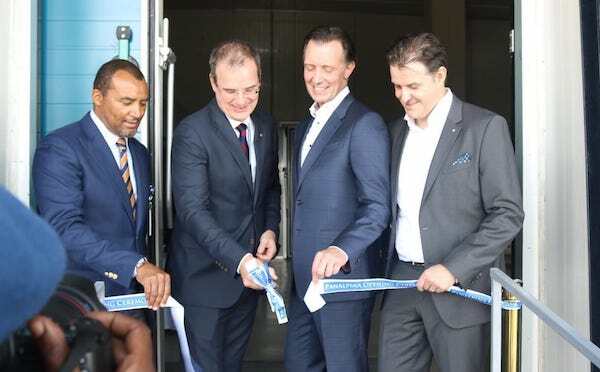 The Swiss forwarding and logistics services provider Panalpina has expanded its Nairobi Jomo Kenyatta International Airport facilities by 1,500 square meters in order to strengthen its position in the country. “ This facility will provide many business opportunities for our customers in Kenya, the region and the world, and that is what we are looking to achieve – solutions that foster growth for our customers, Panalpina and the communities where we operate, “ said Stefan Karlen, President and CEO of Panalpina. The company started operations in Nairobi in 2015 with a team of five people and grew to 350 people with the acquisition of Airflo in 2015 and Air Connection in 2017. Panalpina aims to grow its business in Kenya from the current 65,000 tons to more than 80,000 by 2020. Photo from Kenya airport: Jimmy Kibati – KAA General Manager Marketing and Business Development; Jonny Andersen – KAA Managing Director; Peter Kristensen – Panalpina Country Manager Kenya; Stefan Karlen, Panalpina President and CEO. 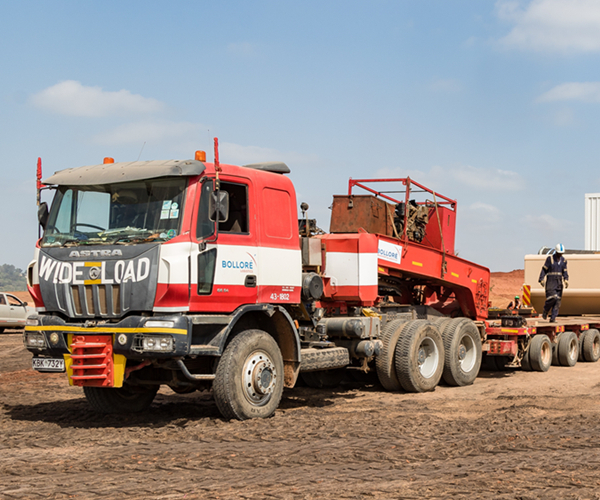 The Bolloré Logistics Industrial Projects team in Kenya was contracted by a mining company Base Titanium Limited to provide customs clearance and Out of Gauge transportation for a massive piece of mining equipment from the port of Mombasa to the client’s site in Kwale, located approximately 53 km. Due to the size, the Projects Team formulated a Local Execution Plan to transport the 17-meter long and 6-meter wide equipment. This plan involved a barge operation including crossing the Mombasa Island through Kilindini Harbour to Likoni, at the southern end of island from where the cargo would be transported by road. The equipment was discharged directly from the vessel onto a heavy-duty modular trailer already positioned on the barge. Due to the weight of the cargo , the barge was staged for 48 hours awaiting high tide to table the unloading of cargo. Afterwards a dedicated ferry from the Kenya Ferry Services was used to tow the barge across the harbour to the Likoni side, followed by a transport by road. On the site, the team used a combination of Enerpac and Hydraulic Jacks to lift the cargo and steel beams for support to securely offload the cargo. A team of 20 Bolloré Logistics staff were involved during the actual operation.